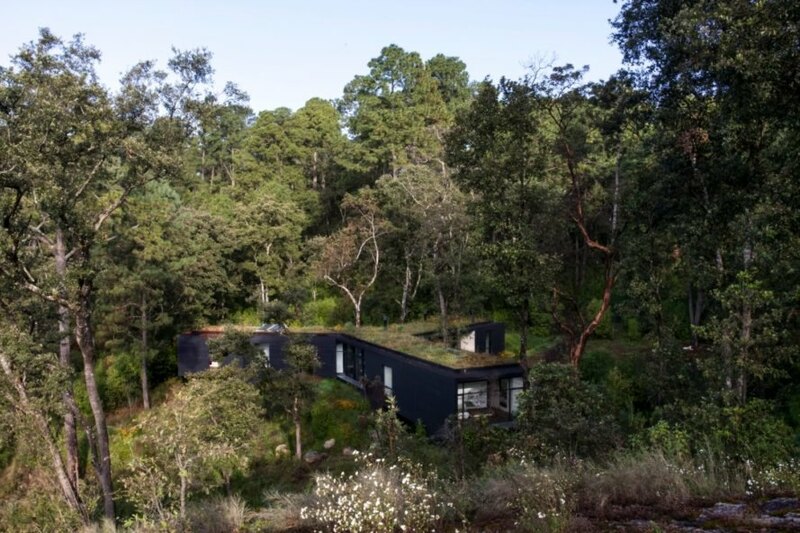 Barcelona- and Mexico City-based firm Cadaval Sola-Morales has just unveiled Casa de la Roca, a beautiful, dark timber home topped with a green roof and located in a remote forest in Mexico. 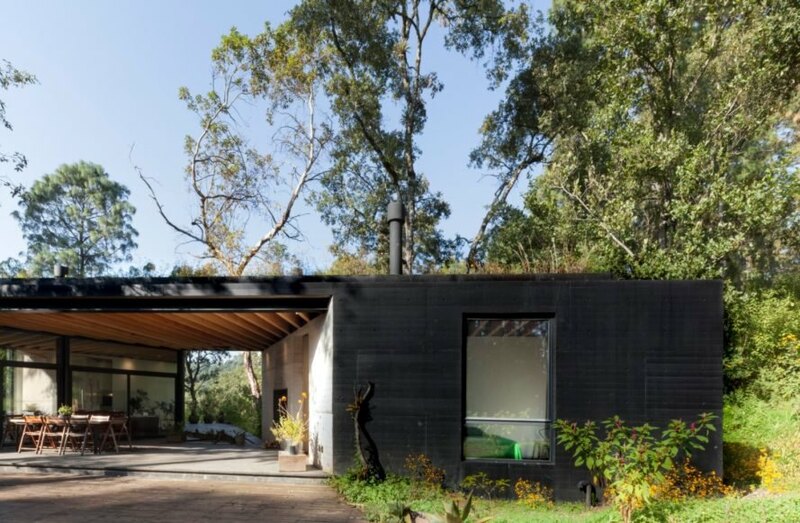 The single-story structure features a jet-black facade crafted from felled trees and finished with a living roof to help camouflage the home into the peaceful, secluded forestscape. When designing Casa de la Roca, the architects were focused on one objective: to create a home that would easily blend into the landscape for years to come. Acting accordingly, the architects chose materials based on durability. 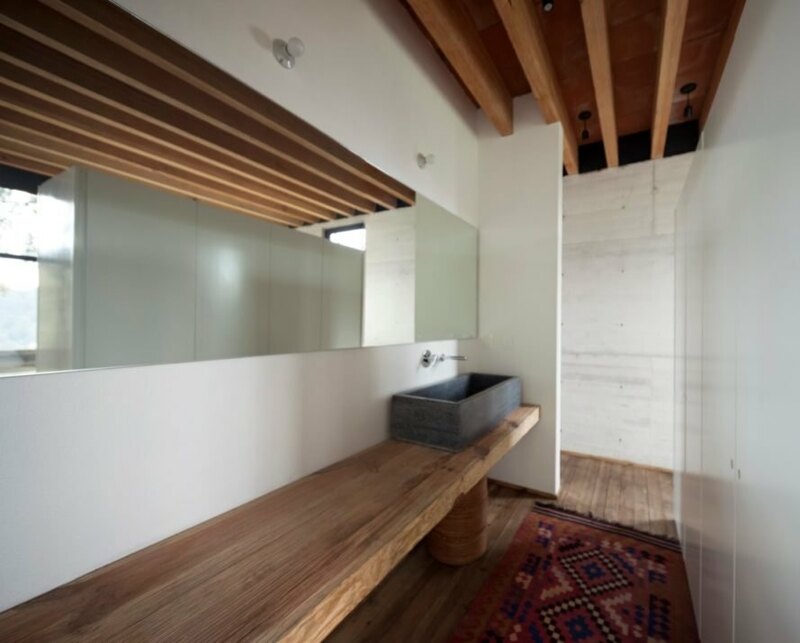 The structure, which sits on a low-maintenance concrete foundation, is clad in reclaimed timber from local felled or dead trees. The exterior walls were then coated in black paint to add longevity to the structure. “We used paint (and not dye), to add another layer of material protection; dye tends to lose its qualities over the years,” the architects explained. 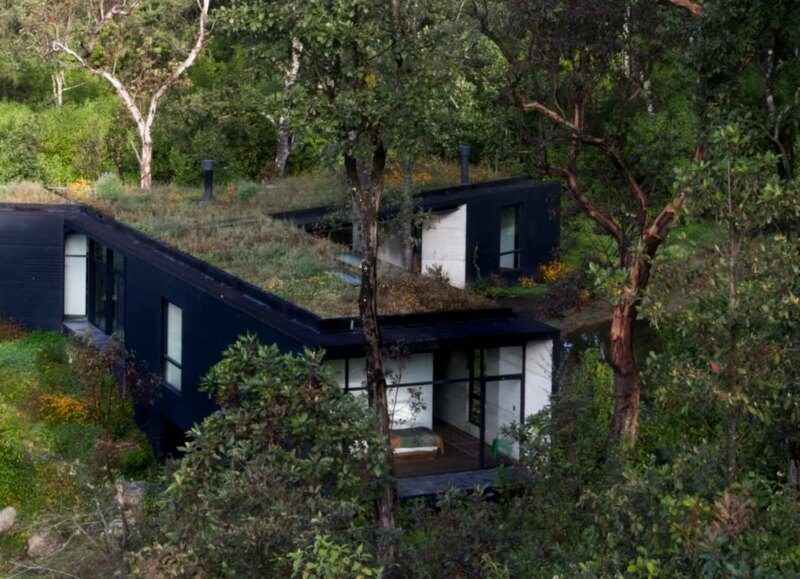 “It is black, responding to the desire to blend in with the landscape, seeking a certain anonymity in front of the vegetation and exuberant views.” The dark exterior essentially allows the home to hide deep within the forest, but that wasn’t enough for the architects. 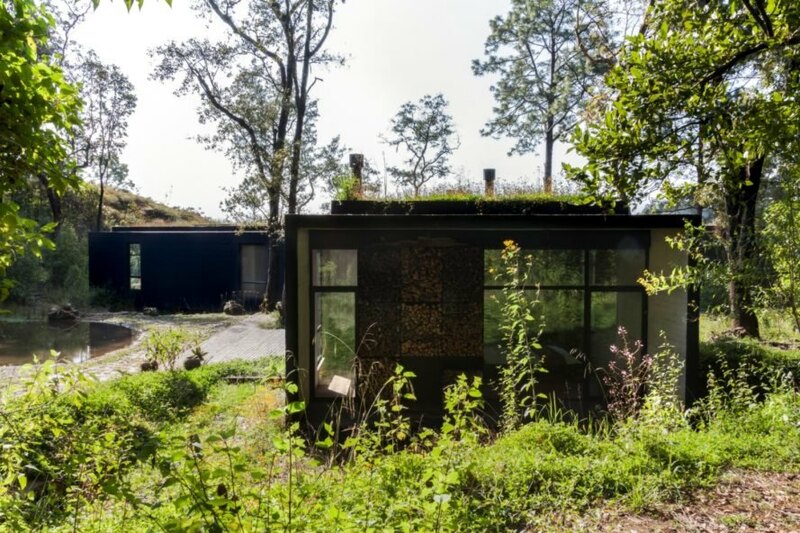 Once the dwelling was constructed, the team finished the entire roof with vegetation, creating an even stronger connection between the man-made and natural. According to the architects, the home’s layout of three long hallways that converge into the main living space was also inspired by the landscape. 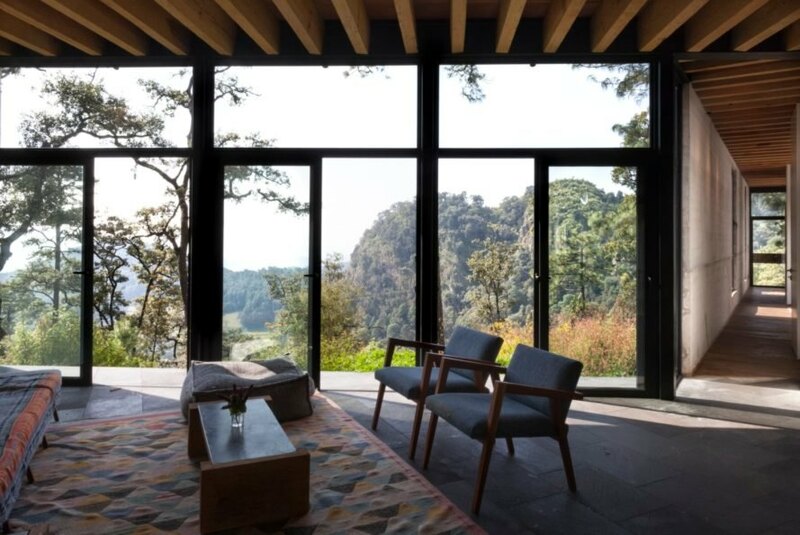 The team wanted the house to have three private lookouts at each end to provide distinct views of the forest. The three “arms” of the home come together at a central point, which is also where people can come together and socialize. The interior space is both elegant and welcoming. A minimal amount of furniture is spread out over the open-plan living room, so the main focus is always on the incredible nature that surrounds the home. 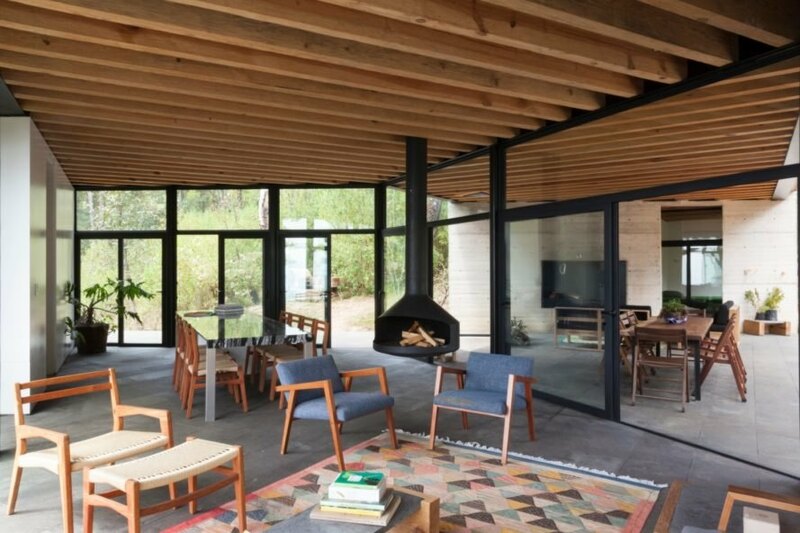 Extra large floor-to-ceiling windows and doors allow optimal natural light into the home, while also creating a seamless connection to the forest. Casa de la Roca virtually disappears into the landscape. Cadaval Sola-Morales designed the Casa de la Roca to blend in with the surrounding nature. The design was kept to one story to let the greenery envelop the home. Large windows connect the home with nature. The home's exterior was painted black to help it blend in with the landscape. The roof is carpeted in greenery. Large windows connect the interior with the exterior. The home's minimalist design is both elegant and welcoming. The floor-to-ceiling windows provide stunning views. The minimalist design keeps the emphasis on the incredible nature outside. The bedroom has exposed beams and large windows. 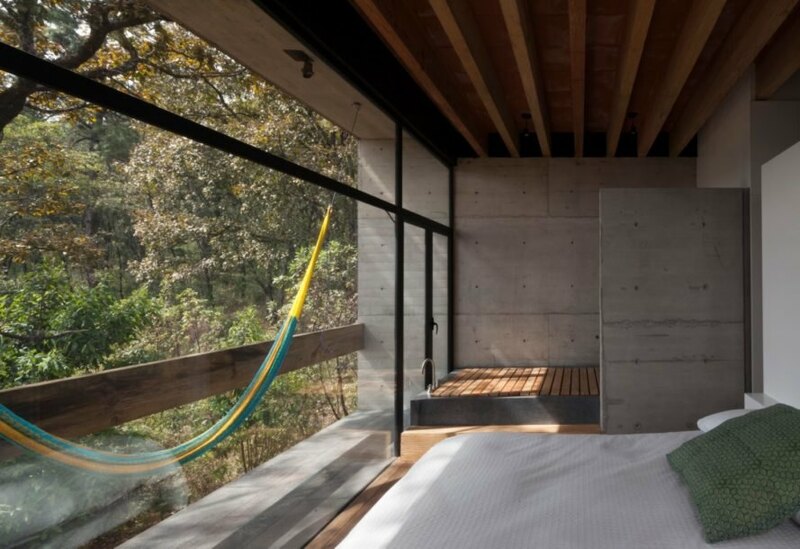 A hammock allows the homeowners enjoy the view. The minimalist design continues into the bathroom space. The dark timber exterior is crafted from local felled and dead trees. The lot that surrounds the home was kept in its natural state. 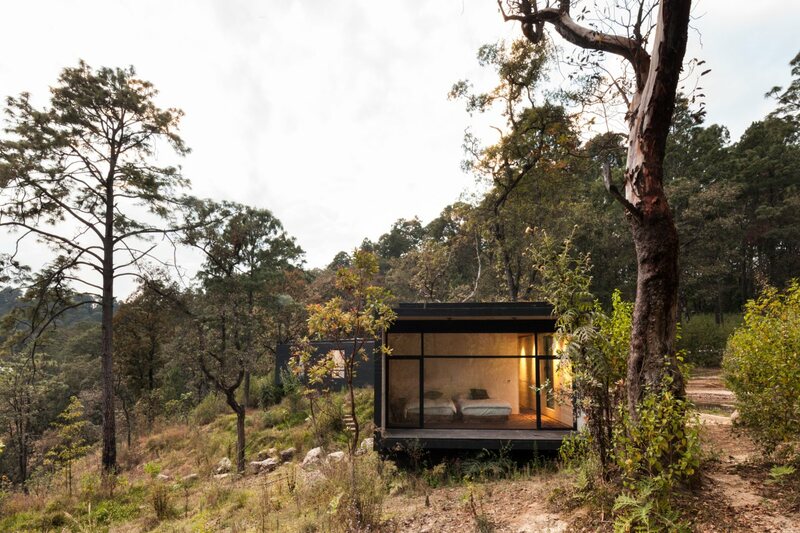 The Casa de Roca is tucked deep into a remote Mexican forest. Large trees and bushes make up the home's front yard. Large windows allow light to filter into the home. The home has three wings that meet at the center, where residents can gather and socialize.